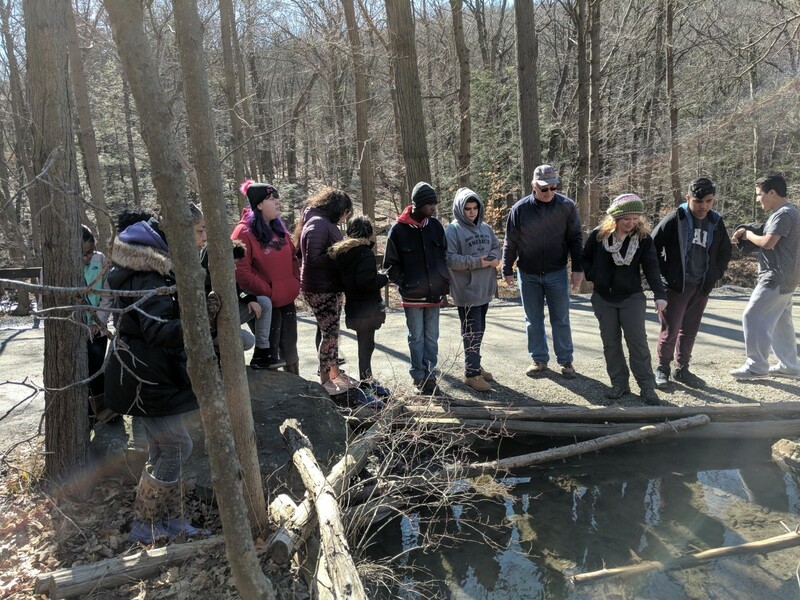 On February 27th, South Middle School students in Mrs. Carey's and Mr. Wenzel's co-taught 7th grade life science class, along with Mrs. McCoy-Yakle's 7th grade life science classroom traveled to Black Rock Forest. 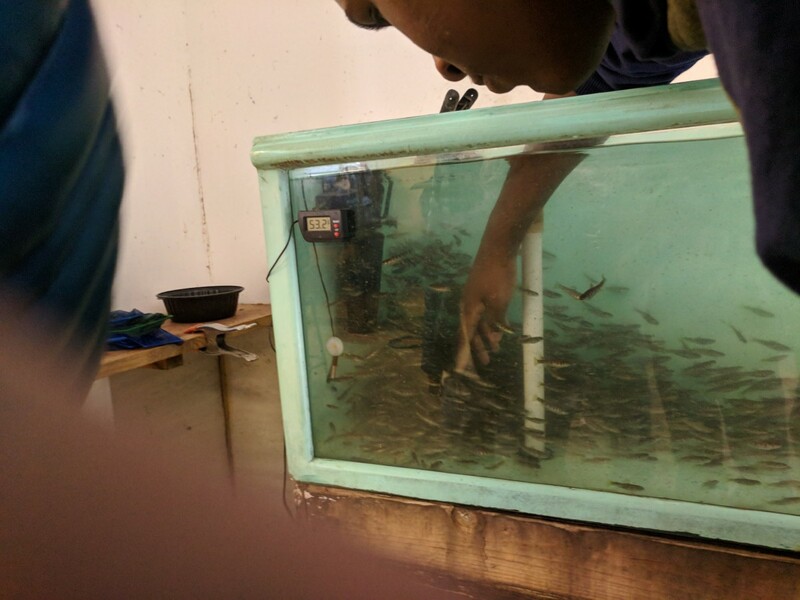 Since early November, the students have been quietly raising Brook trout in their classroom. 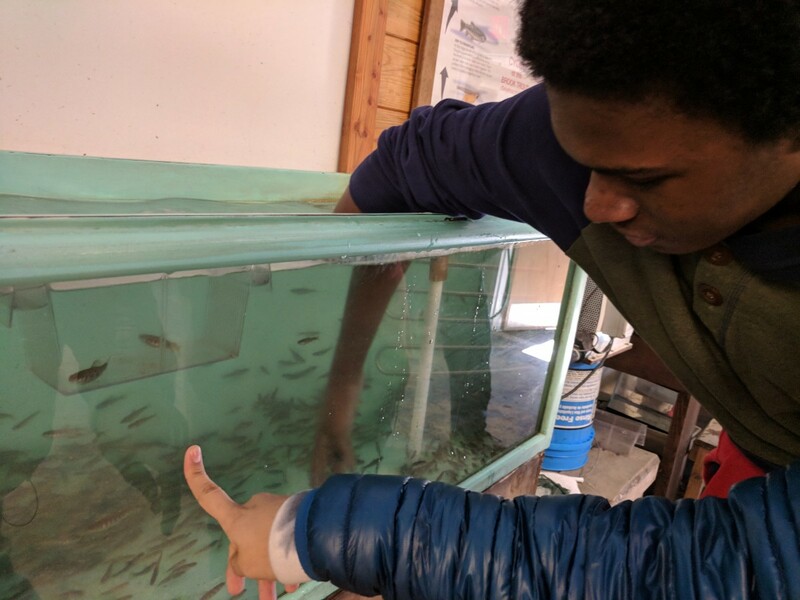 Black Rock Forest has been facilitating Brook trout in the classroom as a means to educate our youth regarding their depleting habitat, specifically the need for clean water. 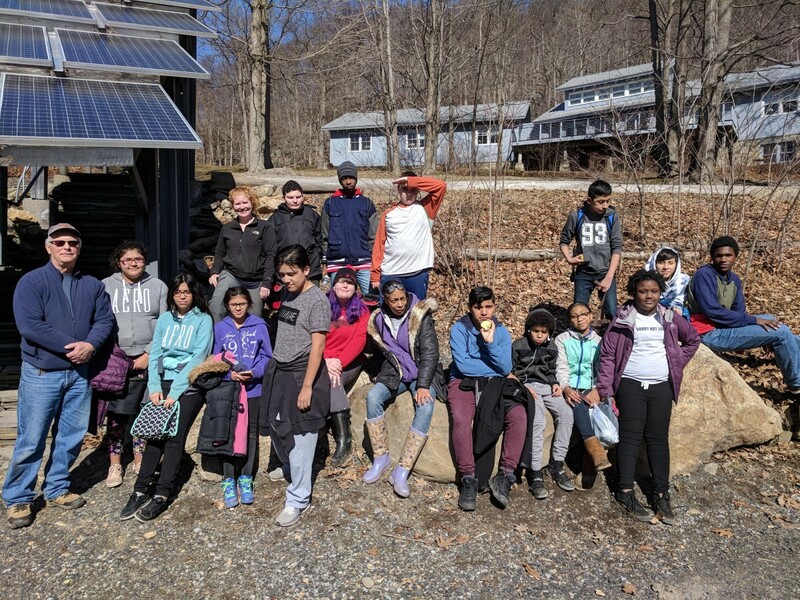 While at Black Rock Forest the students participated in three activities. 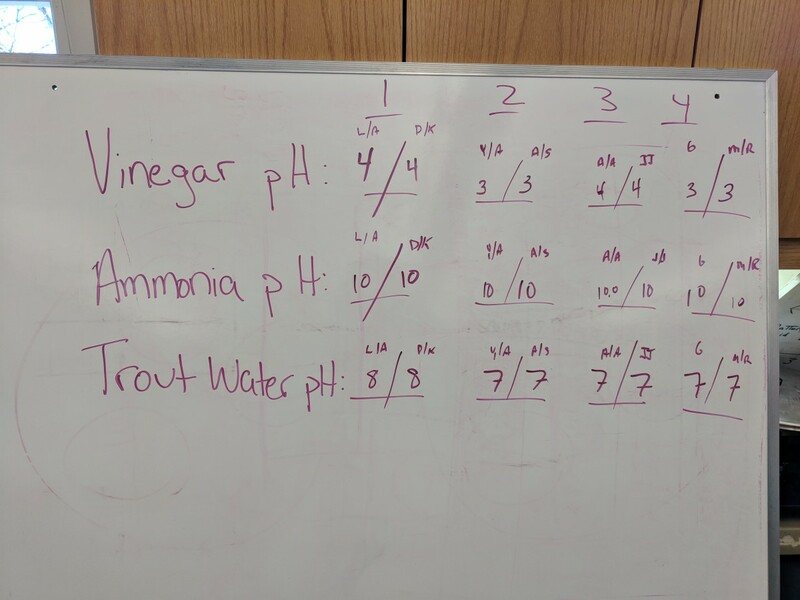 The first, inside the consortium lab measuring pH levels of ammonia, vinegar, and the consortiums current trout water. 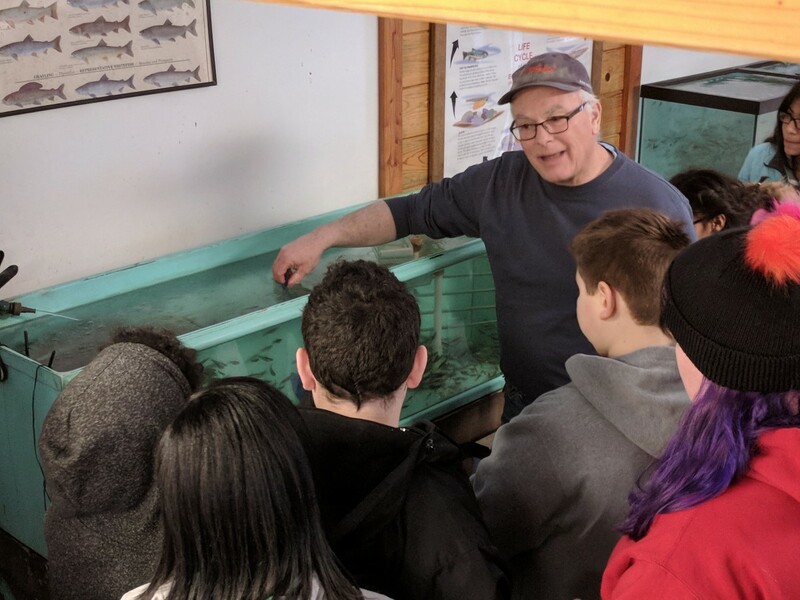 The second activity took the students into the consortiums Brook trout room. The students were able to see where their fish eggs came from. Additionally, the students were shown how to properly handle and measure the trout. 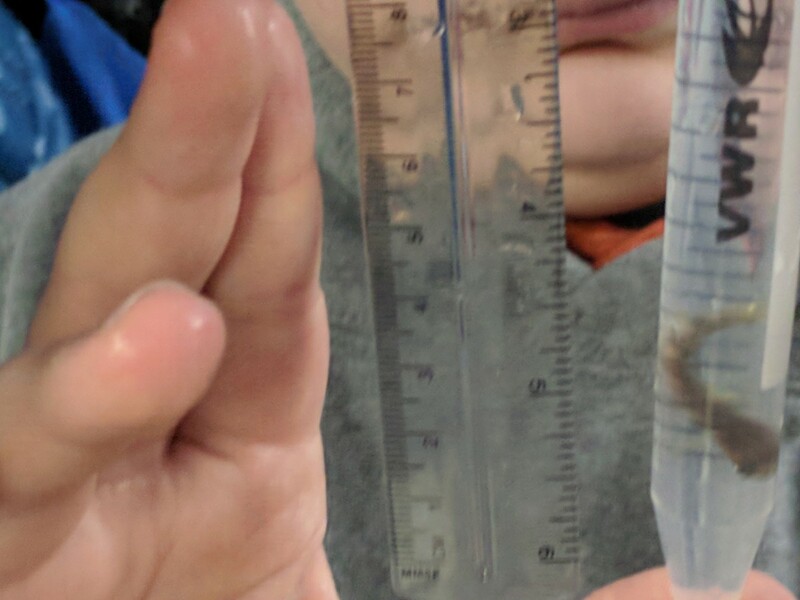 When the students arrive back to school the have a lot of work ahead of them caring for and measuring their own classroom trout. The third activity took the classes of students on a quick hike through the forest around to Buster's bend. 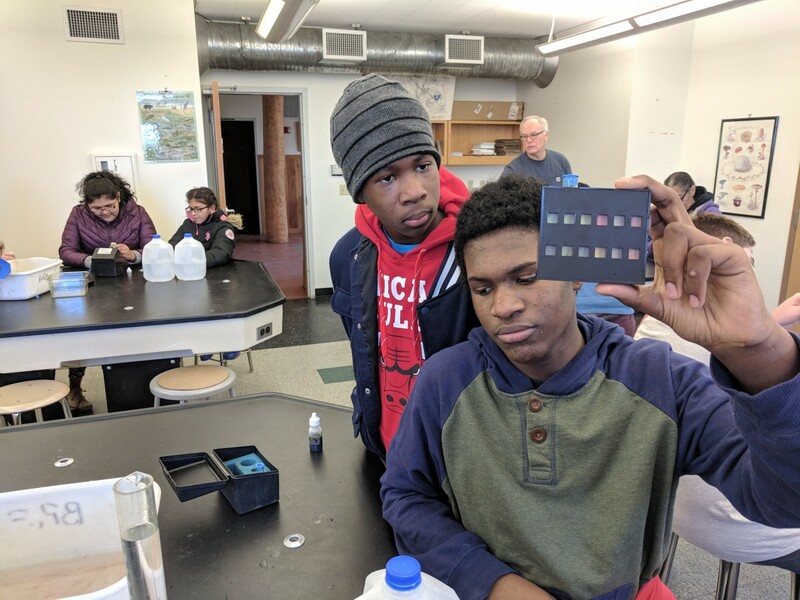 While at Buster's bend the students were able to investigate the areas current trout habitat and population (eventual trout release location). 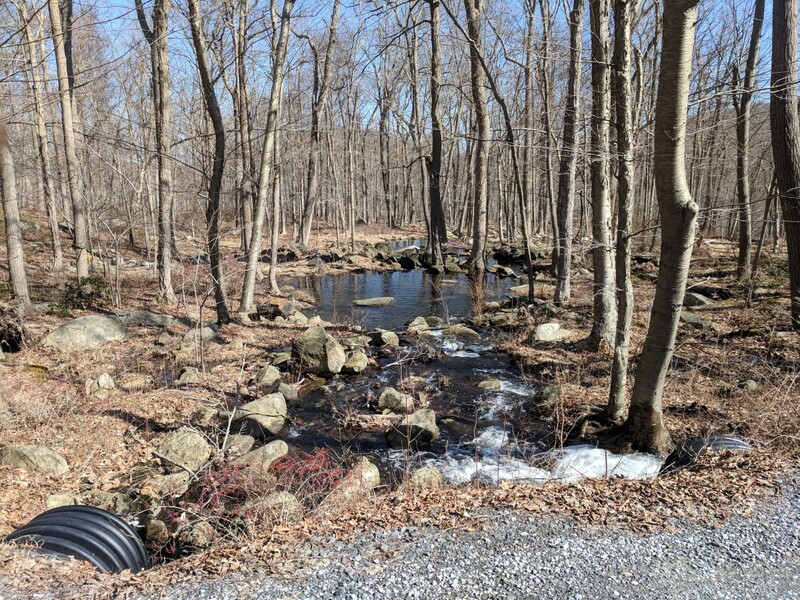 The classes are scheduled to visit Black Rock Forest one last time with their data and trout. 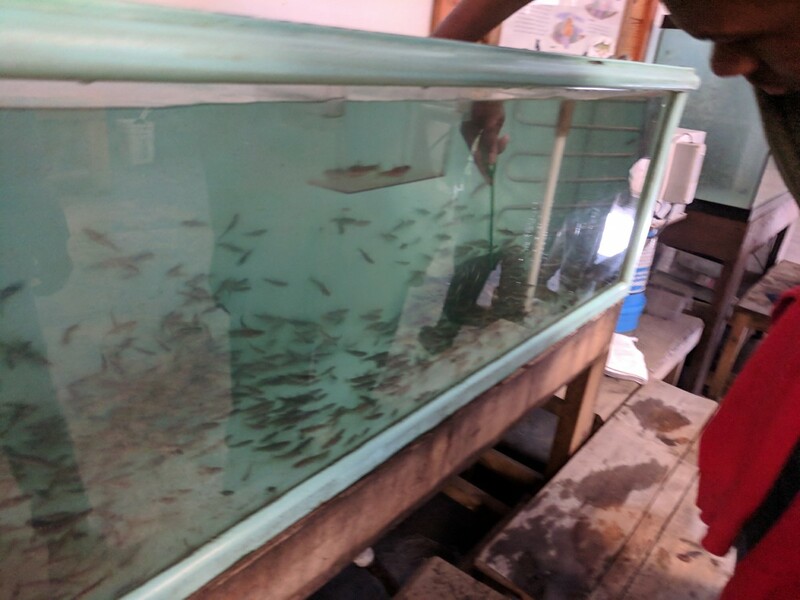 They will be comparing what they saw in late February to what they will see in June when they eventually release their classroom trout. Story and photos generously provided by Mr. Wenzel.